Made by Elevation Designs. 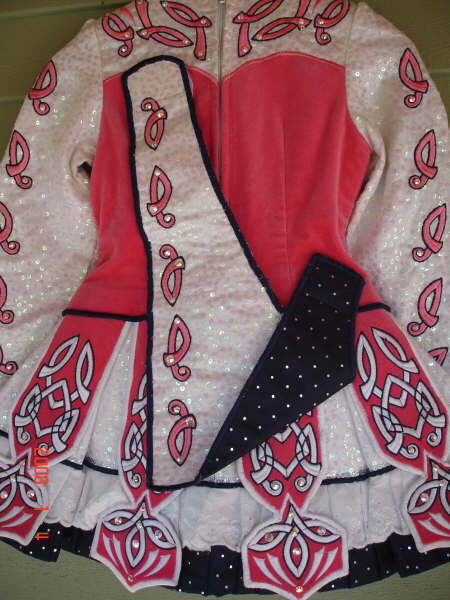 Pink velvet, sequins on white sleeves accented with pink. Navy pleated trim around sleeves and bottom of skirt. Soft cape. Over 200 Swarovski crystals sparkle on stage! 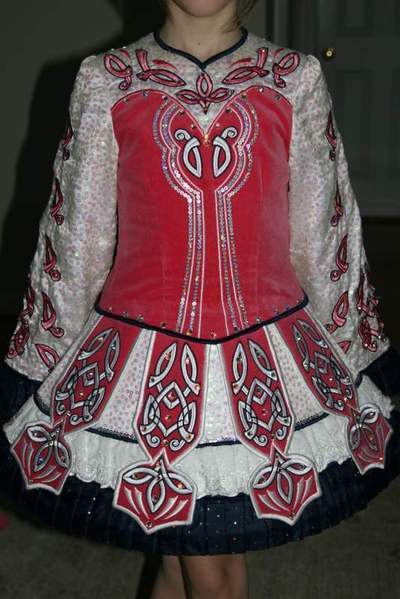 Could be worn by dancer age 8-11. 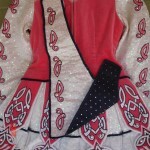 Fabric under skirt sparkling silver with matching kickpants. Asking Price: $US750 open to offers. Shipping costs are included for my own country, overseas shipping is extra. Returns are negotiable.